Light-based treatments for acne are not new. A tan has long been known to help teens with pimples, and it would not be surprising to find reports of acne phototherapy dating from the 1930s. In my youth, a local dermatologist was treating many of us with what must have been a cold quartz lamp along with various creams and oral antibiotics. He told me that he knew that the light was helpful, but could not say more than that about its mechanism. Since that time, there have been great advances in the understanding of acne and in laser and light technology, but the level of understanding of how light might help acne has not progressed much. In the past 10 years or so, there have been many reports of different light-based acne regimens (1), but all are small (or very small) studies and most can best be categorized as organized anecdote. The typical report describes a handful of patients who have treatment with light plus antibiotics plus other interventions (such as peels). Controls, blinding, and randomization are lacking, and the phototherapy regimen differs from patient to patient. It is tempting to dismiss the reports as worthless, but that would be missing what could be an important new direction in acne treatment. Propionibacterium acnes is an obvious target for acne phototherapy since it is central to the inflammatory process. The organism makes porphyrins, which are present in the follicle, in proportion to its population (2). These photoactive compounds can be excited by light to generate reactive oxygen, which is toxic to P. acnes (3). 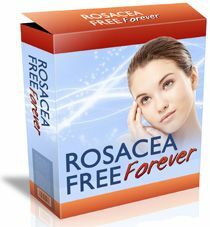 An inherent limitation is that to reduce P. acnes effectively, the therapy would have to be given very frequently since the organism proliferates rapidly and would quickly repopulate after being reduced by a phototoxic reaction. How frequently might be necessary? There are no data available to directly answer the question, but one can predict in vitro from the organism's generation time that populations would double every roughly 30 minutes, and a P. acnes suppressive therapy would have to be given at least every two or three days. light sites. Although there was a clear clinical benefit, sebum secretion and P. acnes populations were measured to be unchanged. Similarly, blue-light treatment of acne patients reduces P. acnes levels after several treatments, but acne begins to improve before bacterial reduction can be noted (5). So, theoretically, and in acne trials, porphyrin-based photodynamic therapy is unlikely to exert its effects through reducing P. acnes. Sebum is, in a sense, the central problem in acne. 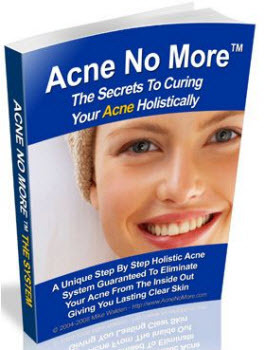 Without it, P. acnes cannot proliferate and acne would not exist. The most effective drug for the disease isotretinoin exerts the majority of its effects on sebum secretion. A light-based treatment that targets sebum production would have the potential to cure acne. Could one do without sebaceous glands? Most likely. The function of sebum is unknown; it may serve to inhibit invading bacteria such as dermatophytes and streptococci, but children do well with no sebum and adults have little-to-no sebaceous activity on the extremities with no ill effects. The challenge in a therapeutic photon attack on the sebaceous gland is its distance from the skin surface. Between the gland and the surface is up to 3 mm of tissue that can absorb light and be damaged. The key would seem to be to develop a chromophore that homes to the sebaceous gland and then can be activated by an otherwise innocuous wavelength of light. Anderson et al. (6) have reported a series of 22 patients with acne of the back, who were sensitized aggressively with ALA and then irradiated with a potent dose of broadband (550-700 nm) light. Pain, erythema, and evidence of epidermal damage were common. Patients experienced a flare of acne that was suppressed by following treatments. Although the adverse effects were significant, there was histologic evidence of damage to sebaceous glands and patients had suppressed sebum production for at least 20 weeks after treatment. Although the adverse effects of this regimen are probably too severe for a practicable therapy, the report serves as a wonderful proof-of-principle study, documenting that the sebaceous gland can be destroyed by a limited number of light treatments. Similarly, Lloyd and Mirkov (7) demonstrated that indocyanine green accumulates in the sebaceous gland and can be activated by 810-nm light to damage the sebaceous gland, yet relatively spare the epidermis. All that remains is to develop a chromo-phore that is sebaceous gland specific, cosmetically practical, and excitable by a wavelength that can be delivered several millimeters into the skin. Formation of the comedo results from defective keratinization in the epidermal lining of the follicle and is the target of topical retinoids in acne. Could light alter the epidermis sufficiently to stop comedo formation and thus halt acne? So far, there is no evidence that this might be possible, but no theoretical reason why it might not. Toll-like receptors (TLRs) have been shown to be involved in the development of acne lesions (8). Might light-based techniques be able to improve acne through modulation of epidermal innate immunity? There is some evidence that this may be possible. It is well-described that sun and phototherapy decrease the reactivity of epidermal Langerhans cells (9), which could be involved in acne inflammation at some level. Omi et al. (10) have shown that a nonablative 585-nm laser increases IL-2 and IL-4. The relevance to acne of this observation is not certain. Schnitkind et al. (5) studied the anti-inflammatory properties of narrow band blue light on cultured keratinocytes. They found that cytokine-induced production of IL-1a and ICAM-1 was inhibited, which gives credence to the concept that current phototherapy techniques exert an anti-inflammatory effect in acne. 12 weeks after therapy (11), Orringer et al. (12) performed a blinded split-face study of similar low-dose pulsed-dye laser therapy for acne and found no effect on the number of lesions or on the clinical grade of the acne. 13 patients with what was described as severe or cystic acne were treated with long-pulsed 585-nm pulsed-dye laser and ALA. All patients received either topical retinoids or azaleic acid and either a sulfur- or benzoyl peroxide-based cleanser. All patients in this group achieved a complete clearance after a mean of 2.9 treatments and a mean follow-up of 6.9 months. Adverse effects were minimal and limited to erythema and "slight" pain. Several clinical photographs were shown documenting clearance of significant inflammatory acne [but acne that falls short (in these pictures) of what many would usually classify as "cystic"]. In spite of quibbling about the definition of cystic acne, and in spite of the use of other medications such as topical retinoids and benzoyl peroxide, it is clear that in this report, the use of ALA photodynamic therapy (PDT) resulted in an improvement in significant acne. Weigell and Wulf (14) evaluated the efficacy of methyl aminolevulenate PDT on moderate-to-severe acne in a randomized, controlled trial. Twenty-one patients were treated and 15 served as controls. Two treatments separated by two weeks were administered and acne graded at 4, 8, and 12 weeks. Improvement was noted at 4 weeks and reached statistical significance at 8 and 12 weeks after therapy. Most patients developed "severe" pain during the first treatment, fewer complained during the second treatment. Exfoliation and crusting were common. Although rigorous studies are limited in number, it is clear that there is great potential for a photodynamic approach to acne. Clinical trials where phototherapy is the only agent used. Even though most acne treatments are not used as a monotherapy in the clinic, in the development phase, it is important to test laser or PDT as monotherapy in order to ascertain whether it actually has any effect on acne and to be able to define the best regimen. Investigation of the ability of phototherapy to modulate inflammatory systems. Selective modulation of TLRs in the skin, e.g., the TLR2 that is involved in acne, may be the explanation for the effects of phototherapy on acne. If so, perhaps less traumatic regimens can be designed. Development of sebaceous gland—specific phototherapy. This could be a magic bullet for acne and is theoretically possible. Perhaps, the biggest obstacle would be the cost of development of a one-time treatment, which would have to be very expensive to offset development costs. Ross EV. 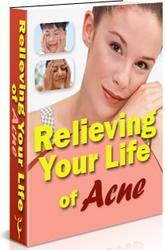 Optical treatments for acne. Dermatol Ther 2005; 18:253-266. McGinley KJ, Webster GF, Leyden JJ. Facial follicular porphyrin fluorescence: correlation with age and density of Propionibacterium acnes. Br J Dermatol 1980; 102(4):437-441. Ashkenazi H, Malik Z, Harth Y, Nitzan Y. Eradication of Propionibacterium acnes by its endogenic porphyrins after illumination with high intensity blue light. FEMS Immunol Med Microbiol 2003; 35:17-24. Pollock B, Turner D, Stringer MR, et al. Topical aminolaevulinic acid photodynamic therapy for the treatment of acne vulgaris: a study of clinical efficacy and mechanism of action. Br J Dermatol 2004; 151:616-622. Schnitkind E, Yaping E, Geen S, Shalita AR, Lee W-L. Anti-inflammatory properties of narrow band blue light. J Drugs Dermatol 2006; 5:605-610. Hongcharu W, Taylor CR, Chang Y, et al. Topical ALA-photodynamic therapy for the treatment of acne vulgaris. J Invest Dermatol 2000; 115:183-192. Lloyd JR, Mirkov M. Selective photothermolysis of sebaceous glands for acne treatment. Laser Surg Med 2002; 31:115-120. McInturff JE, Kim J. The role of toll-like receptors in the pathophysiology of acne. Semin Cutan Med Surg 2005; 24(2):73 - 78. Belsito DV, Baer RL, Gigli I, Thorbecke GJ. Effect of combined topical glucocorticoids and ultraviolet B irradiation on epidermal Langerhans cells. J Invest Dermatol 1984; 83(5):347-351. Omi T, Kawana S, Sato S, et al. Cutaneous immunological activation elicited by a low fluence pulsed dye laser. Br J Dermatol 2005; 153(suppl 2):57-62. Seaton ED, Charakida A, Mouser PE, et al. Pulsed dye laser treatment for inflammatory acne vulgaris: randomized controlled trial. Lancet 2003; 362:1347-1352. Orringer JS, Kang S, Hamilton T, et al. Treatment of acne vulgaris with a pulsed dye laser: a randomized controlled approach. JAMA 2004; 291:2834-2839. Alexiades-Armenakas M. Long pulsed dye laser mediated photodynamic therapy combined with topical therapy for mild to severe comedonal, inflammatory or cystic acne. J Drugs Dermatol 2006; 5:1-11. Weigell SR, Wulf HC. Photodynamic therapy of acne vulgaris using methyl aminolevu-linate: a blinded, randomized, controlled trial. Br J Dermatol 2006; 154:969 -976.